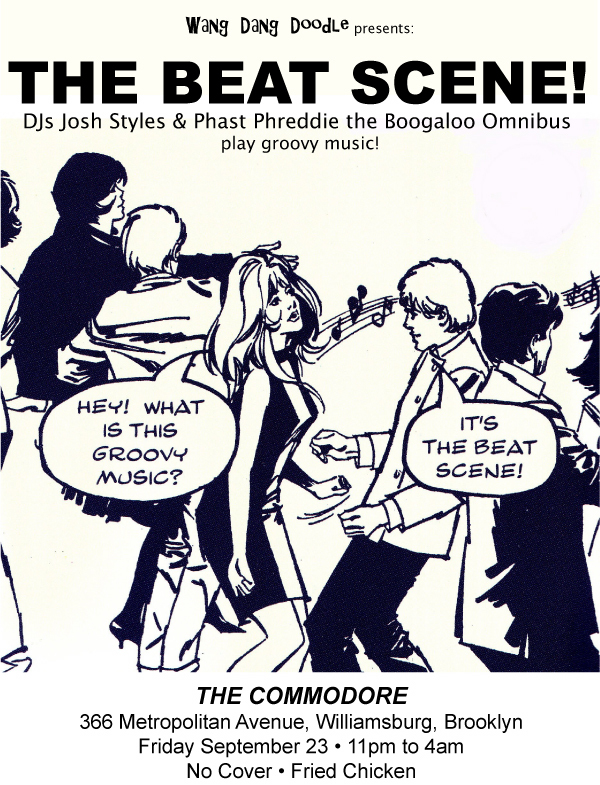 Phast Phreddie the Boogaloo Omnibus and Josh Styles swing at The BEAT SCENE! 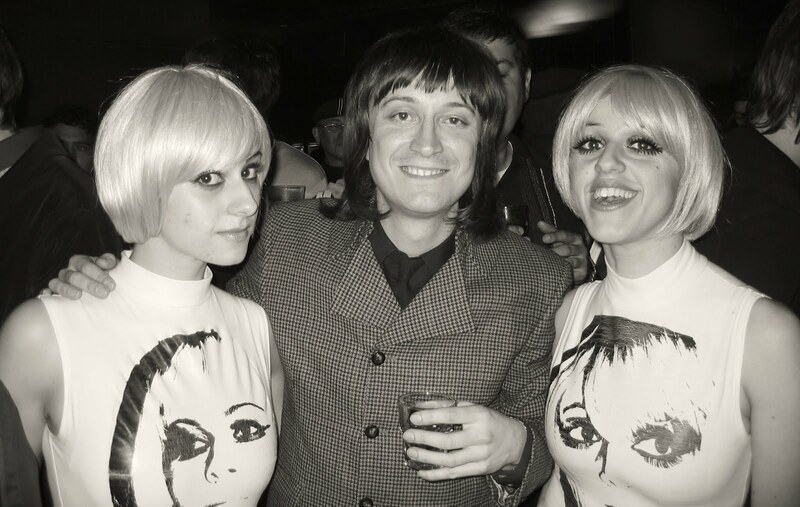 The BEAT SCENE was one of the most fabulous nights ever held at The Commodore! The BEAT SCENE featured music that just exploded in the room. With guest DJ Josh Styles at the controls, how could it not? 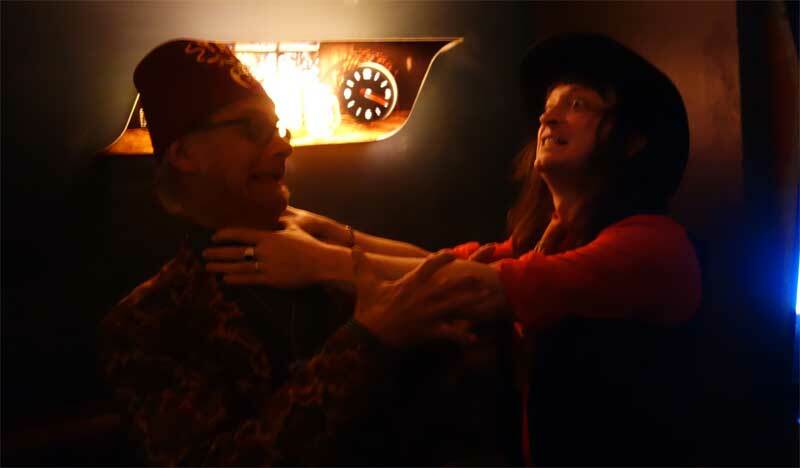 On Friday September 23, The BEAT SCENE swung a might noise. 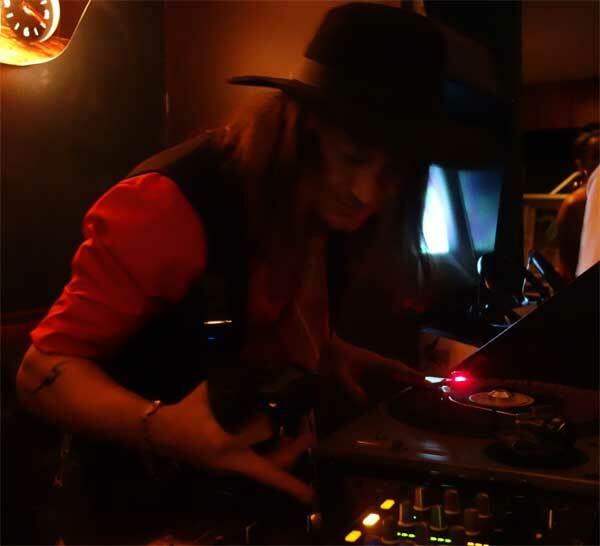 All night long, Josh Styles and host Phast Phreddie the Boogaloo Omnibus spun great sixties records—mostly garage rock and freak beat, but also a few soul records and girl group sounds—and the room was packed nearly the entire time. Josh Styles selects another boss record at The BEAT SCENE! Josh Styles, as the astute Boogaloo Bag reader may remember, has been DJing boss records for this entire century! His Smashed!Blocked! night from the beginning of it was one of the most fabulous DJ nights of all time. He has since hosted many others that have been nearly as legendary. 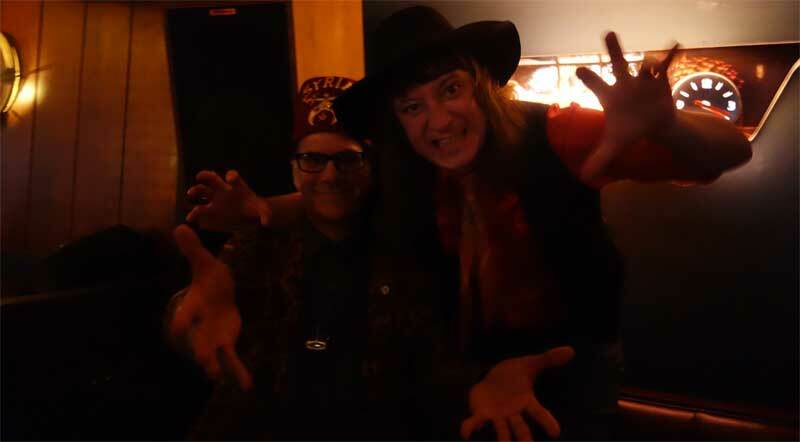 Check out his Midnight Offerings which he co-hosts with Drew Redmond on the second Saturday of the month at the Bootleg Bar. Also, let’s not forget that Mr. Styles drums for a very hep rockin’ blues combo called Daddy Long Legs—which has recently been inducted into the New York Blues Hall of Fame! Congratulations are in order for the group: Brian Hurd, Murat Akturk and Josh Styles. Plus, along with the boss sounds, Gumby videos were shown on the TV screen during the BEAT SCENE, supplied by Boogaloo Bag ace photographer Nancy “Jeannie” Gardner. So you know this BEAT SCENE was clean! 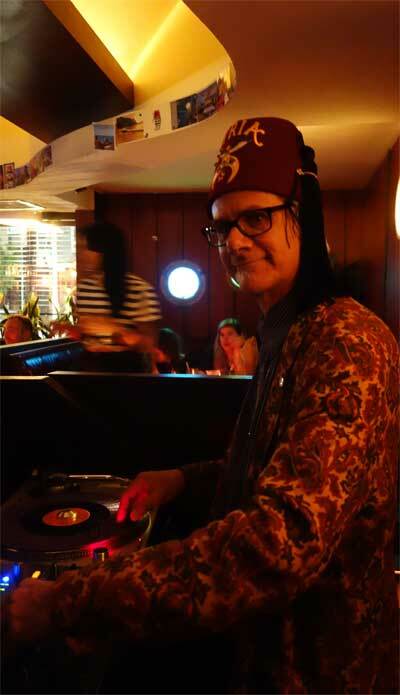 Here’s a list of all the 45 RPM recordings played by Phast Phreddie the Boogaloo Omnibus at The BEAT SCENE. Don’t forget: some of the songs listed have links to the youtubes so you can check them out!